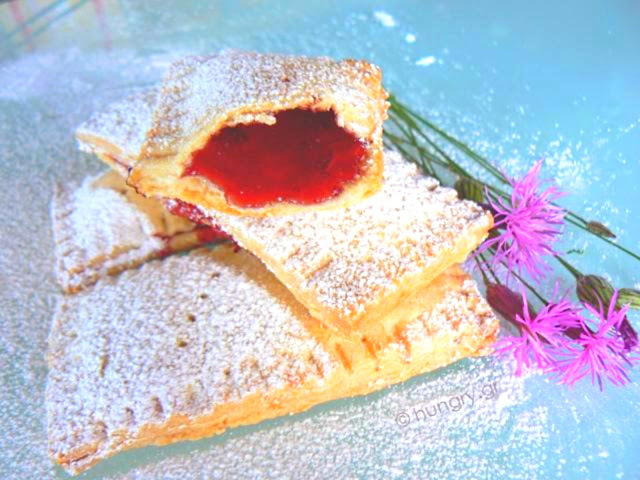 Mini pies with pâte brisée filled with our favorite jam. 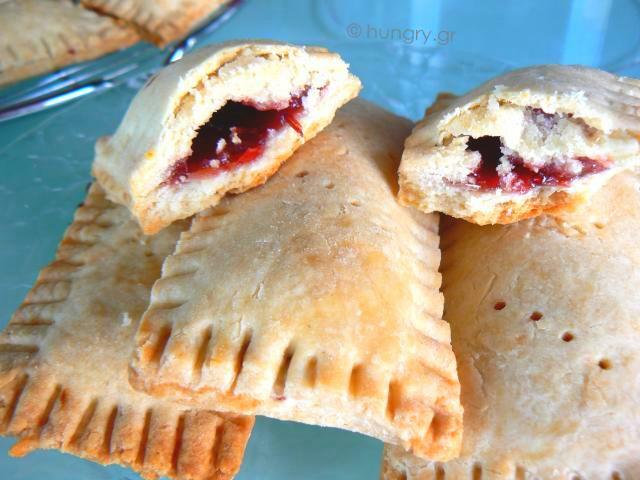 A relatively easy dough, that will take a lot of patience for those not very familiar, to make these mini pies. The taste will definitely compensate your trouble! Sieve the flour. 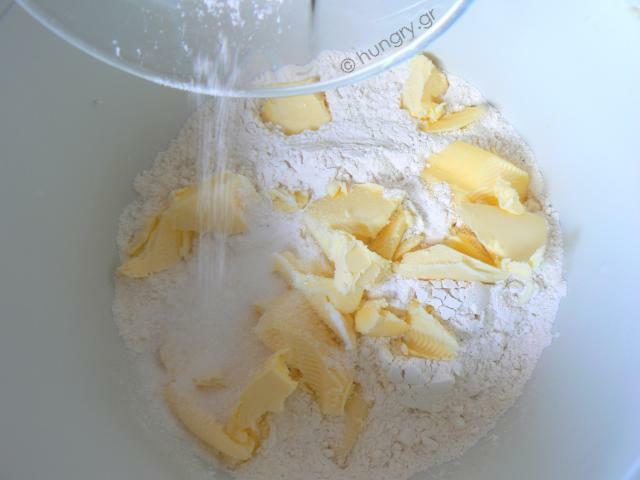 Cut the cold butter into small pieces and place in a bowl with the flour. Add sugar and salt. Mix until it gets to the size of peas. We slowly add the cold water and form the dough into a ball. Divide in half, wrap each ball with plastic wrap and refrigerate for ½ an hour. 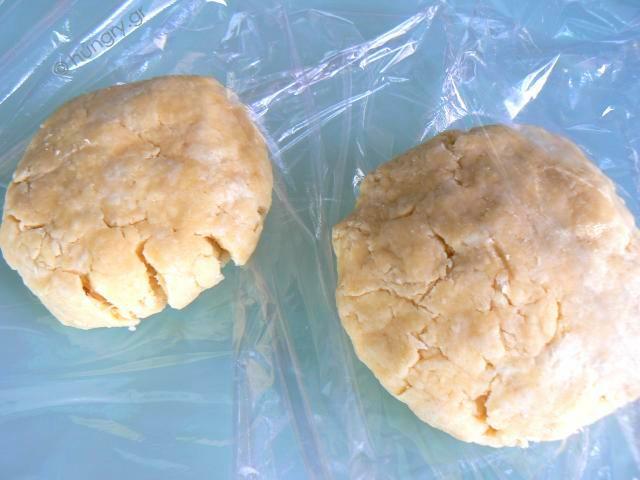 Put one ball on a floured surface, spread with a rolling pin on a sheet with thickness of 5-6 mm/ ¼". 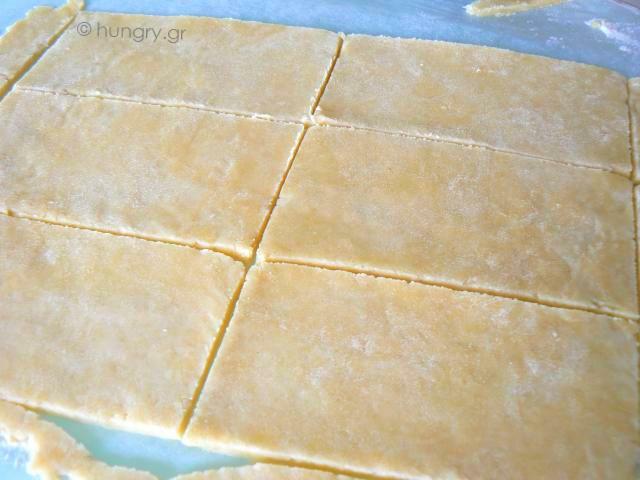 Cut the sheet of dough into rectangular pieces of 5x10 cm/2x4 inches. 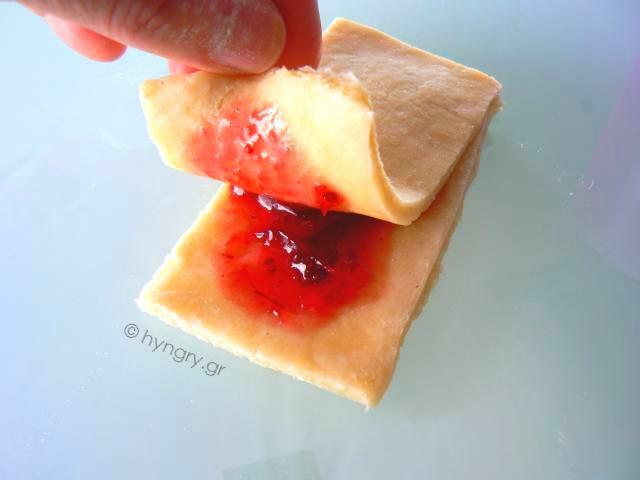 We need 2 such pieces for each mini pie. …and cover with the second sheet. 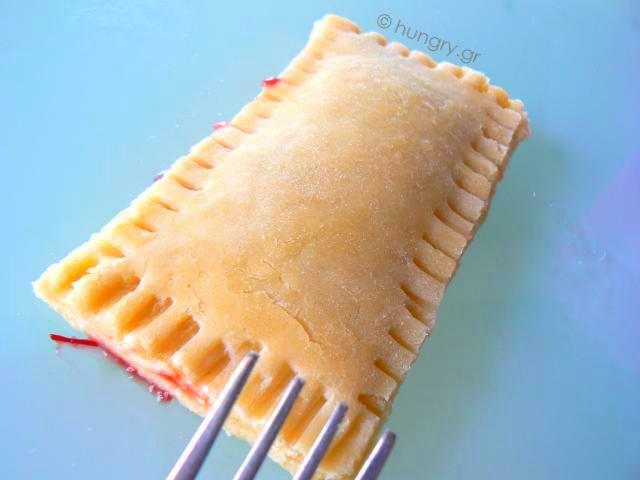 We press with our fingers around the pie lightly, and "pinch" with a fork around the edges to seal well. 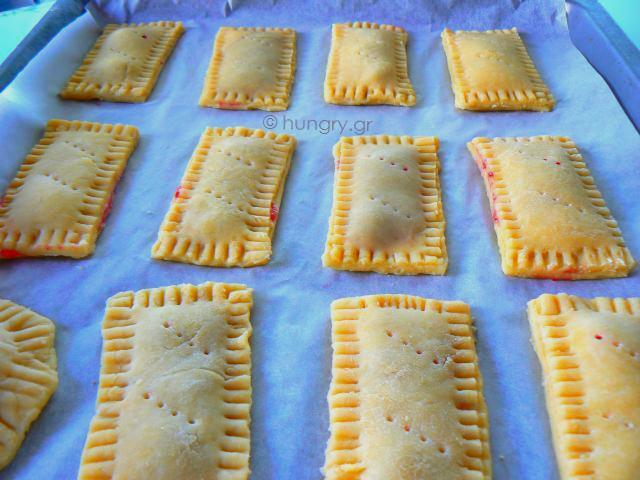 Line a large pan with a baking sheet and place the prepared mini pies. Pierce the top with a fork. 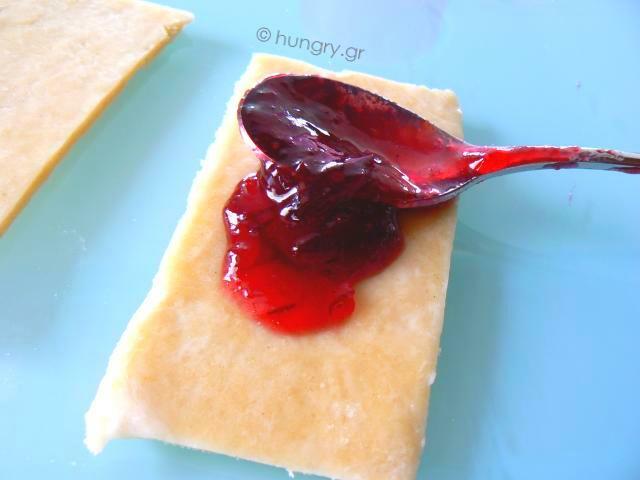 Place the pan in the refrigerator for an hour. The pâte brisée dough is a bit difficult and needs your attention to knead. Make it fast since the temperature of your hands and kneading time works against the quality of dough. 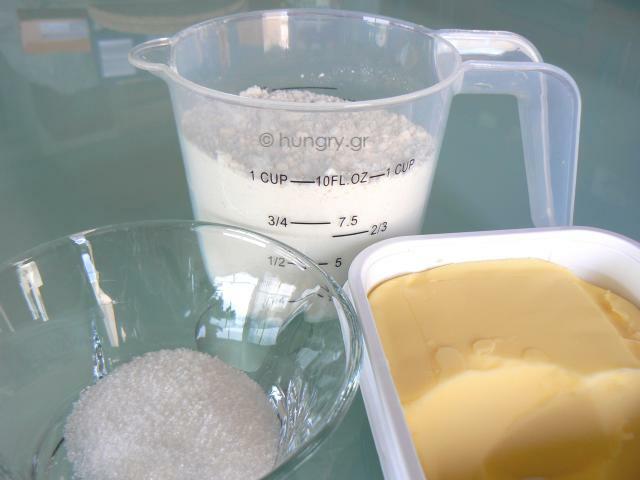 Typically, the pâte brisée is blended with a special mixing tool to ensure that the butter and flour are mixed well before adding water. 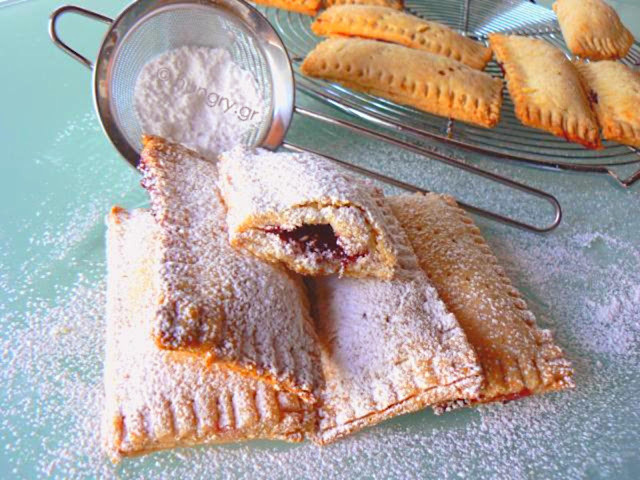 If the flour grains if not covered by the butter, is likely to develop gluten, which toughens the dough! 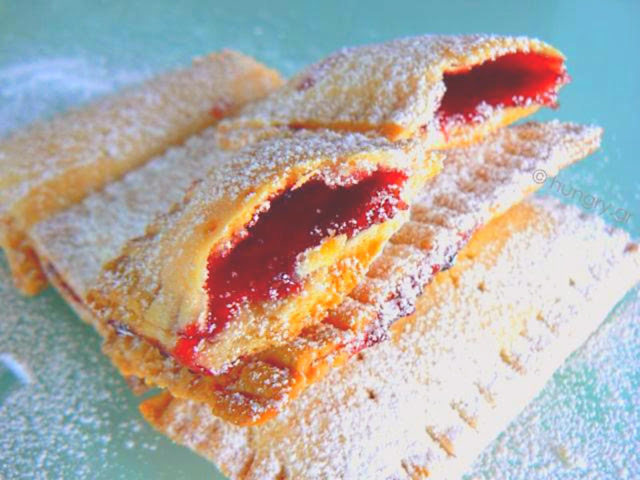 If you do not have the special tool (pastry blender), you can hold two knives in the same hand and mince mixing the butter with the flour, or fork, or, finally, the tool that we use to mash vegetables.